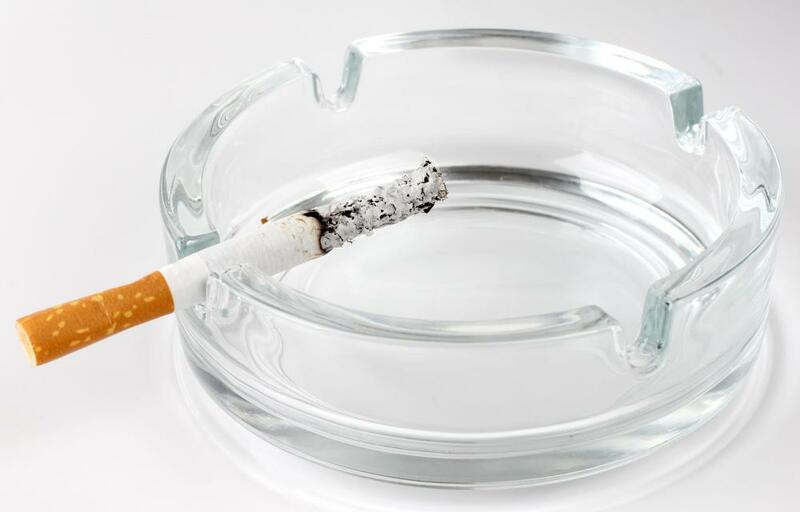 Cigarette smoking can cause coughing and is a common risk factor for COPD. Coughing is a common symptom of COPD. Chronic obstructive pulmonary disease (COPD) is a disorder in a person’s lungs. 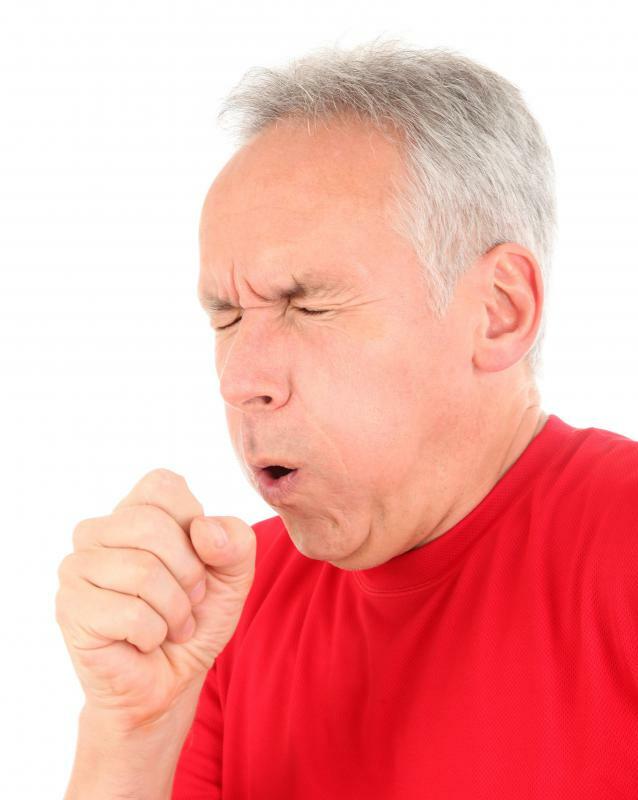 Coughing and COPD are connected because the most common symptom of COPD is a coughing problem. People who have COPD often experience a particular kind of cough that causes them to expel large amounts of phlegm. This coughing will generally start during the earliest stages of the disease, and in many cases, it is the first symptom that a person will exhibit. The reason for the connection between COPD and coughing is mostly related to the mechanics behind COPD. The disease is caused by inflammation of the tissue in a person’s lungs. When the lungs become inflamed, they will often produce mucus as a defensive reaction. If the lungs are constantly inflamed, they may produce enough mucus to interfere with normal breathing. In cases where this happens, the lungs will produce a cough as a way to expel some of that mucus. Coughing and COPD are also often related to smoking, and sometimes people describe COPD as being specifically caused by smoking. This is not entirely true, but there is a relation between the two. COPD is generally the result of a reaction to some kind of lung irritant. This could be chemicals that a person inhales at work or any number of other substances. Smoking is the most common cause of COPD, but it is not always the main origin. When a person develops coughing and COPD, the best treatment is usually to get away from the irritant that is causing the disorder. During COPD, there is actual physical damage being done to a person’s lungs. This damage is generally permanent, and there is no way to repair it. Sometimes it is possible to halt further damage by avoiding any irritants that may have been causing the COPD. If the COPD sufferer is a smoker, then that will generally involve giving up cigarettes, and if someone works at a polluted factory, then he might have to quit the job. Many people don’t realize coughing and COPD are connected, and they may ignore chronic coughing problems. This can have potentially deadly consequences over the long term. People with severe COPD may suffer with a lack of oxygen in their bloodstream. They can also become almost crippled by their basic inability to breathe. For this reason, people with a high risk of COPD are generally advised to take any chronic coughing issues seriously. What Is the Average COPD Life Expectancy? What Is the Difference between COPD and Emphysema? What are the COPD Stages? What are the Different Types of COPD Exacerbations?